* Large 5.6ml refillable pods. * Several colors to choose from. 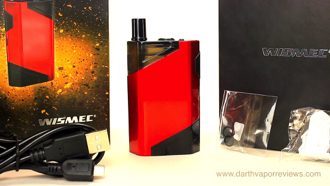 The WISMEC Hiflask is a 40watt AIO pod system with a built in 2100mah rechargeable battery and a 5.6 milliliter refillable e-liquid cartridge. The kit comes in a sturdy cardboard box with a slide off sleeve. The kit contents include: a user manual, spare parts, a micro USB charging cable, two - JVUA 0.3 ohm coil heads and the Hiflask battery and cartridge. 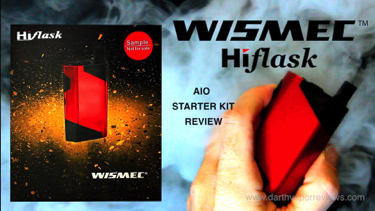 If you would like to try Wismec Hiflask AIO pod vape system for yourself, friend or family member that needs to quit smoking, just click on the logo or link below. Have an excellent day and may the Vape be with you! The Hiflask battery features a large power button, heat vents on the bottom and a charging port located on the front. Combined with the cartridge, it is roughly 3-1/2 inches in height by an inch and 7/8" in width. 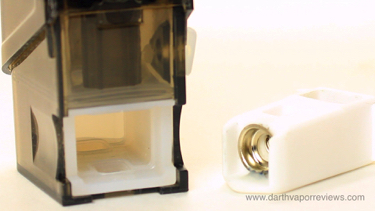 Prime a coil head and slide it into the lower silicone casing until it fits tightly. 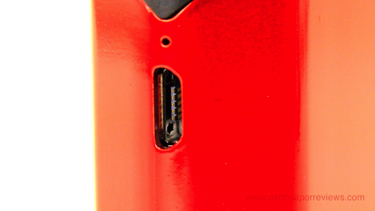 The side of the cartridge contains an e-liquid fill port. Open the tab and fill with e-liquid. Once full, replace the tab. 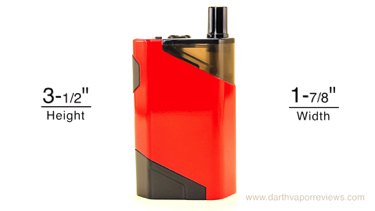 Five clicks of the power button turns it on and you're ready to vape. The Hiflask was an excellent performer. The battery case is metal, but lightweight. I love the long lasting battery life and the large e-liquid capacity. 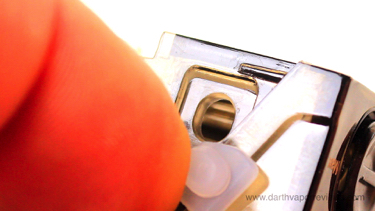 The airflow knob is a little difficult to turn and the minimum airflow may not be restrictive enough for some. I prefer it wide open on the max setting. The lock system works great holding the pod in place, but still easy to unlock. The refillable Hiflask cartridge can hold up to 5.6 milliliters of e-liquid and features an airflow control knob on the top designed for mouth to lung and direct lung vapers. 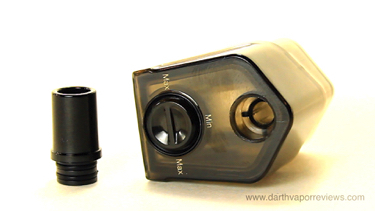 The drip tip can also be interchanged. 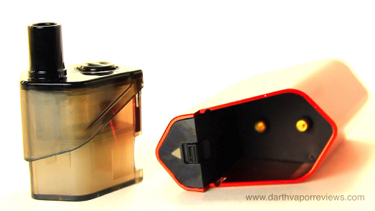 The cartridge locks onto the battery for a secure hold. 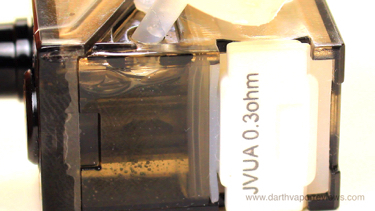 The 0.3 ohm JVUA coil heads slide into the lower portion of the Hiflask cartridge. My biggest con is although the instructions say to fill with e-liquid first and then add the coil, for me that just lead to a big mess of e-liquid. Add the coil first, the fill with e-liquid. Overall, a great sturdy, yet lightweight device that feels good in the hand with coils that produce great flavor and vapor. 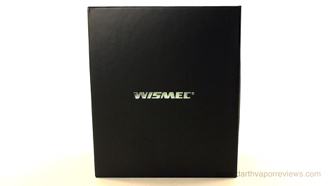 The Wismec Hiflask currently runs in the $30-$40 range and comes in four colors. * Dark cartridge window hard to see through. * Leaks without coil installed.